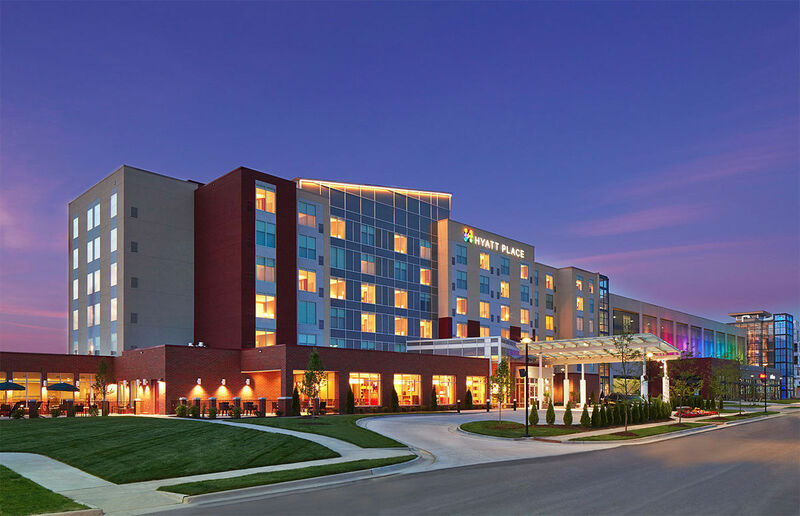 This is a Hyatt Place hotel at a LMG project in Lansing, Michigan. LMG officials say they have interest for a hotel in downtown Kannapolis but they have not said what kind of hotel. KANNAPOLIS — A major hotel chain is eyeing downtown Kannapolis as a possible location thanks to the “demonstration project” being developed by Lansing Melbourne Group. Peter Flotz, managing member of Lansing Melbourne Group, discussed the possibility during Monday’s Kannapolis City Council meeting. Flotz gave an update discussing possible ways of laying out the project , which features a mix of residential and retail space, with a proposed hotel. Flotz talked during a design progress update on the demonstration project. The project is one of the first steps in revitalizing downtown and will include multi-story residential, retail and parking development between Main Street and West Avenue. Officials hope it will generate momentum and enthusiasm in downtown Kannapolis. Flotz said they are already getting interest from at least one hotel property. Officials are meeting with hotel officials this week on the downtown Kannapolis site to discuss the possibilities, Flotz said. Officials have cited that downtown master plan that Kannapolis has been developing that sees the Intimidators baseball stadium being relocated downtown as well as the potential of a performing arts center in downtown being draws that are attracting interest. The hotel is just one part of the demonstration project. In August, Kannapolis City Council selected Lansing Melbourne Group to move forward on a $60.6 million development project in downtown Kannapolis. That is $60.6 million worth of private development that Lansing Melbourne Group will spend to develop the project. Construction is expected to begin in the summer of 2017 with the entire project taking five years to complete. LMG is proposing a $60.6 million worth of private development in downtown Kannapolis with a project that looks to include 271 residential units, a 116-room hotel and retail space. The project would also include about 20,000 square feet of new retail space. During Monday’s meeting, officials discussed the possible ways of laying out the property when construction begins, but nothing has been finalized yet. To attract the project, the city would be required to build a parking deck with more than 500 parking spaces. LMG’s proposal looks to require $12.6 million worth of public investment. In July, Development Finance Initiative officials said the project pitched by LMG could be located in the 200 block of West Avenue that includes the old Cabarrus Bank building and Kannapolis Rotary Hall. Those buildings would not be demolished, but a vacant building that sits between Rotary Hall and the parking lot would be demolished as well as Transit Damaged Freight. The rest of the demonstration project’s construction would occur on undeveloped property between the surrounding buildings. At a previous meeting, officials said LMG is also proposing they could eventually build another 120 residential units across the street from the project they are currently pitching with additional retail space. That could lead to another $19.1 million in private investment if LMG is selected and moves forward on that second phase. The downtown master plan proposes that at some point Lee Clothing Warehouse and the Wells Fargo buildings would be torn down to make way for a performing arts center and LMG could develop more residential units near the performing arts center. Darrell Jackson, who sits on the Kannapolis City Council and operates Lee Clothing Warehouse, has already said the downtown master plan will take years to implement and if need be he would relocate in Kannapolis, preferably downtown, to make way for the performing arts center. Click here to view the full article on LMG’s upcoming project in Kannapolis, NC.